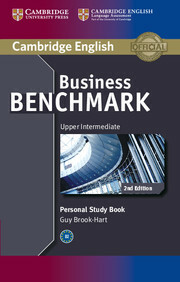 The Personal Study Book is intended as reinforcement of the material studied in the Business Benchmark Student's Book. It contains extra vocabulary, grammar and writing skills activities, based on the Student's Book units and a full answer key to all its exercises. 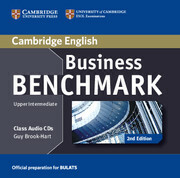 This pocket-sized book is compatible with either the BULATS or Business Vantage version of the course.